This documentation covers how Coupon Actions work. You can choose to add this action to your Competitions or Rewards to allow users to redeem a coupon after engaging in other action types. 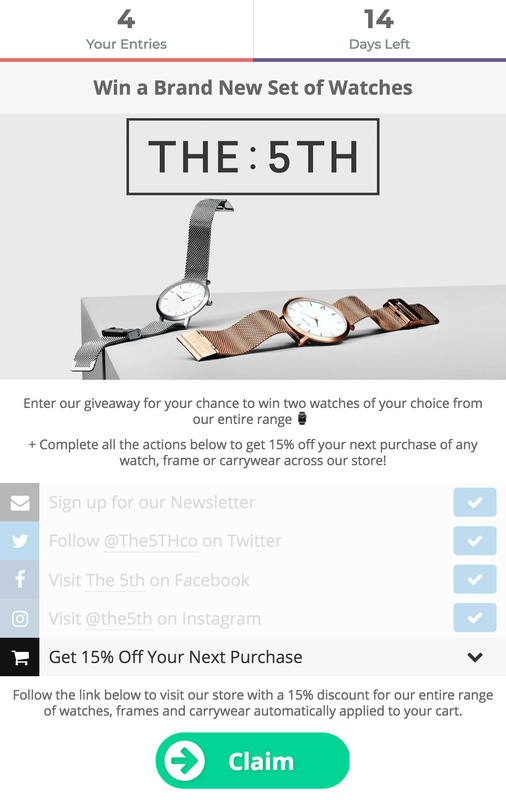 When a user unlocks the Coupon action, the coupon code will be revealed. This action is especially useful for creating tiered Rewards or incentivising the completion of additional Competition entries. 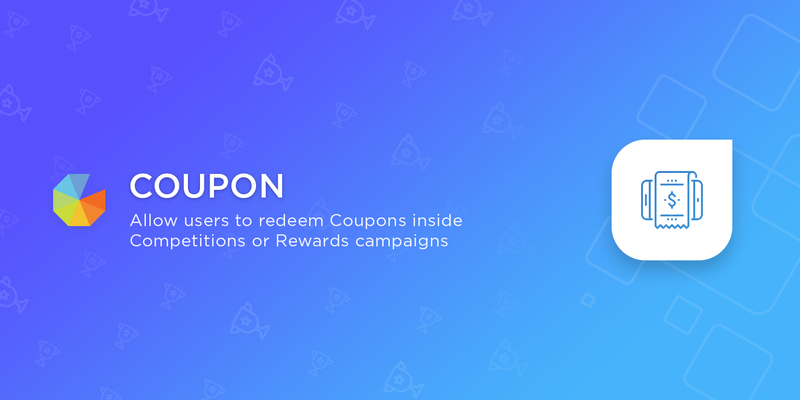 Remember, Coupons are not an entry method, so no entries will be awarded for unlocking a Coupon. 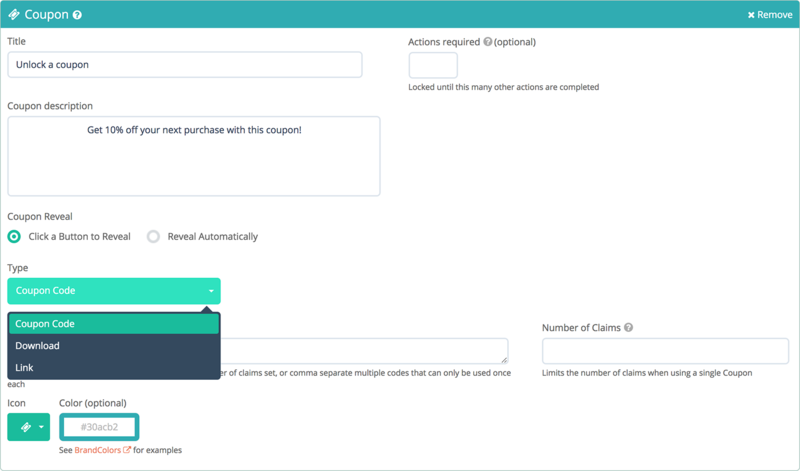 You can gate your coupons until a designated number of actions have been completed. You can limit the number of Coupons that can be claimed by users. With the Coupon action you can offer Coupon Codes, Downloads or Links. 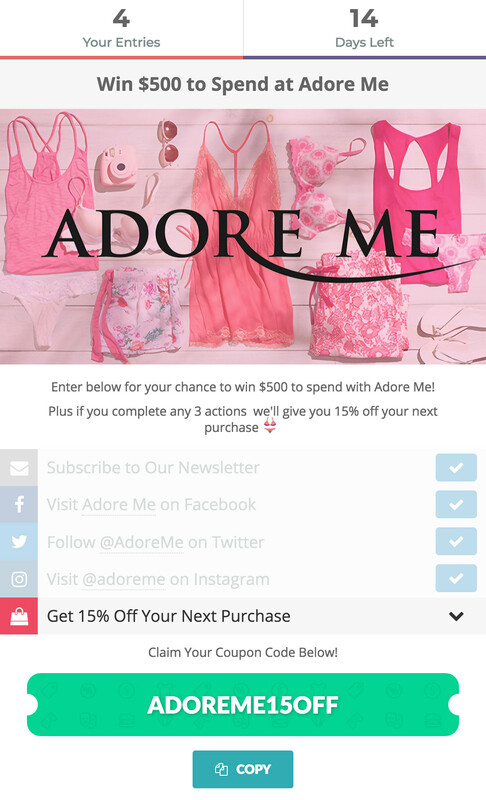 You can choose how the Coupon will be revealed once it is unlocked, it can be revealed automatically or by clicking a button. 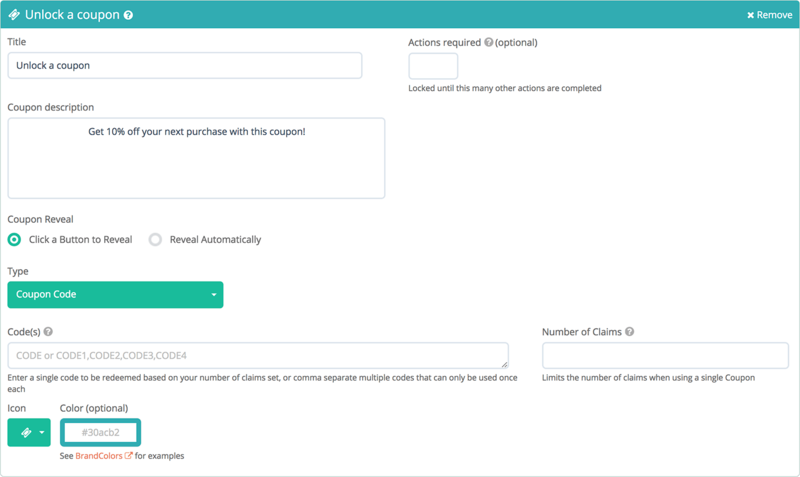 The Coupon action will show the number of claims left on the right tab, this will tell your users if the Coupon is still available. When claims are still available, users can click on the action to reveal a Coupon. Once logged in, the Coupon will be revealed. The user can then click 'Copy' to save it to their clipboard. If there are no more claims left, the action will be disabled and will not unlock. When you use the Coupon action you can choose to offer either Coupon Codes, Downloads, or Links. You can choose which option you want to offer in the dropdown menu under Type when you're setting up your Coupon action. Coupon Codes allow you to offer redeemable codes that can be used at your store. You can use Coupon Codes to offer discounts on particular products, storewide sales, free shipping and much more. With Downloads you can let users unlock exclusive content from within your campaign by redirecting users to a download link once they unlock it. Downloads are perfect for offering exclusive songs, videos, or reports. The Link coupon type allows you to redirect users to a specific URL once they unlock the coupon. You can use these links to send users to gated content and insider deals, or directly to your store with a pre-programmed discount automatically applied to their cart. Because Coupons are not an entry method. Coupons are actions that can be unlocked before completing other entry methods available in your campaign. Do I Need To Have Gleam Rewards To Use The Coupon Action? Yes, you will need Business Rewards or any Full Package plan to access the Coupon action. How Are Number Of Claims Calculated? Each Coupon unlocked is considered 1 claim. Claims from the Coupon action will be deducted from the claims in your Rewards plan.